These nine days are nine roop of maa durga, how to please her and pray her in her swaroop of nine different forms…. first avatar of durga. daughter of parvata raju (mountain king) mata holds trishul as a weapon in her right hand she rides on bull. she has pleasant smile. one feels positive to worship her. on this day one should offer garland of roses. second avatar of durga. as she meditated and did severe penance to attain lord shiva to be her husband she was called brahmacharini. very pious and strong willed.this day one should offer sugar as prasad to mata for her blessing and prosperity. third avatar of durga. she wears half moon on her head. this form indicates peace and wellbeing, kheer made from milk is offered to maa on this day as prasad and also feed brahmins. its said offering kheer to goddess relives people of all pain and acheive happiness. this goddes avatar is for prosperity. fourth avatar of durga. according to belief universe was formed in the abdomen of maa kushmanda. on this day malpuas are made as its fav of maata, its said that offering malpuas to goddess makes people intellect and decision making abilities improve. this helps in making good decision and man is able to achieve sucess in life. fifth avatar of durga. skandamata the mother of kumar kartikeya. worshiping this goddess fulfills all dreams, hope, and wishes of the devotee. according to popular belief, bananas are offered on this day.by offering bananas one attains good health. sixth avatar of durga. daughter of sage katayan, its said that goddess was pleased with sage katayan penance and meditation, and decided to take birth as his daughter.they say one should offer honey as prasad on this day to mata, one achieves a slender figure, attractive personality and pleasing personality. seventh avatar of durga. the name came into being because she removes obstacles and evil forces in your life. this day one offers jaggery as prasad, doing puja for godess is that all abrupt pains, unfortunate situation and misery keep away from persons life. in short a person lives a successful life filled with happiness. eight avatar of durga. this form indicates her beautiful fair form fair in complexion. coconut is offered as prasad on this day, also coconut is donated to brahmins, for all those couples who long for child, pray to goddess on this day and it said that they are blessed with child after worshiping her. 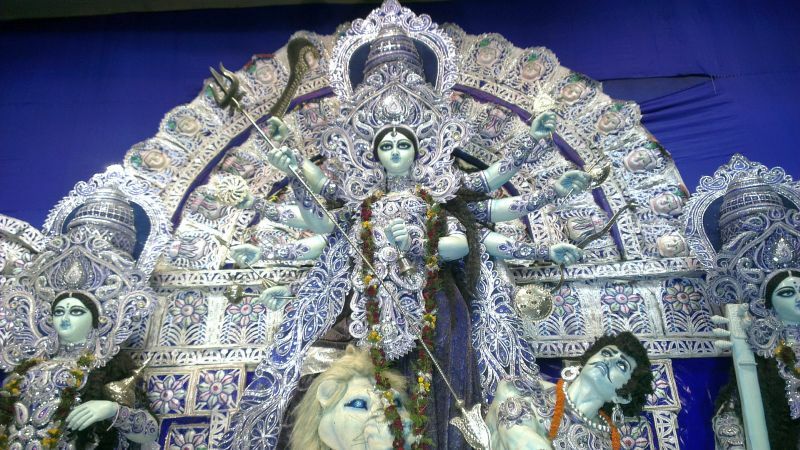 ninth avatar of durga. all wishes are fullfilled, by offering prayers to shiddhidatri (accomplishment) people should offer til as prasad to the goddess, by observing fast on this day person is relieved from the fear of death and does not have to face any unfortunate incidence or situation in life. so every one pray, fast, donate, do charity, give prasad, and get the blessing of maata………….